There have been a lot of stories floating around lately (like this one) about a seemingly-sinister plan for airlines to require you provide information about yourself and then charge you a higher fare based on what they learn. This isn’t a new idea, and I thought I had written about it before, but I couldn’t find it. So, let’s talk about how it would take an incredibly stupid airline to do something like this. Some of you may say “well, yeah, airlines are incredibly stupid,” but at least in this particular case, I disagree. 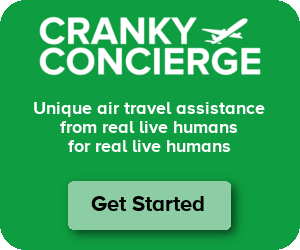 Airlines do want your information and they do want to charge you differently based on what you give, but it should never be used to penalize someone. The second that happens, the whole model blows up. Let’s hope the airlines aren’t as stupid as some of you think. If United knows a Chicago-based traveler usually flies American, it could offer a discount when that person comes to United’s website to search for a flight. The discount can be even bigger in a market where American holds a significant schedule advantage. Pretend Delta has a loyal traveler that always takes the same flight every week. Delta finds that it usually has to turn away demand for that flight while the one two hours later is half empty. So during the next booking, Delta offers a discount if the traveler books the later flight instead. If Southwest knows someone lives in Houston but has to fly from LA to Vegas, it could offer a heftier discount knowing that it’s likely going up against United. But if that traveler lives in Midland and needs the same LA to Vegas flight, maybe it won’t offer a discount because it knows it has likely generated more loyalty. Let’s assume United knows the 6:45am departure is going to be pretty full while the 5:39am won’t be. It can add this offer to the booking page showing a free United Club pass for taking the earlier option and dealing with a long layover. That’s especially useful on a route like this where United is flying aircraft with wifi on every flight. That’s a great way to build loyalty by catering to that traveler’s very-specific needs. That could help woo someone from flying on United from Newark or even on Delta from LaGuardia. I could do this all day. The point is that an airline can make more money by catering to the needs of travelers and presenting offers for services that will make the travel more likely to buy a ticket on that airline at that time. If the airline can overcome the obstacles to getting that booking done, then it can sell more tickets and more ancillary services. Everyone is happy. This stuff happens all the time in other industries, but the airlines are behind. United knows Bob is rich and Herb is not, and it knows nothing about Doug. Doug goes on to the website and gets a fare of $200. Phil logs on and he gets the same fare. But when Bob logs on, he’s presented a $400 fare just because United knows he will pay it. If the airlines start playing games like in the scenario above, then why would Bob ever share any information when he looks for a flight? Bob will never log in to his frequent flier account when he books travel, and he may, if he’s savvy, even clear his cache and delete his cookies when he buys tickets. In the short run, this could be a tempting and easy way to grab more money from people who you know will pay more. But as soon as people find out what’s going on (and they will find out), it’ll all crumble. In fact, this happened to Delta a few years back. There was a story about one man who was next to a friend and they both went to book the same flight. The man who was logged in with his elite status was charged more than the man who wasn’t logged in, and the news spread like wildfire. Delta says it was just testing two different pricing engines for its website, and it wasn’t deliberate. But this is a perfect example of how quickly things can turn if the airlines abuse the information they have on people. I remain convinced that airlines (at least in the US) aren’t that stupid. There’s too much to be gained from doing this properly for airlines to risk losing everything. Then again, we’ve seen stupid airlines do bad things before. Never underestimate the stupidity of the airlines management. On one of the Concord documentaries, I saw/heard a comment by the British Airways Concord Chief Pilot, on how BA achieved profitability with the Concord. Something that Air France apparently was unable to achieve. In the 1970s (or early 1980s) the flight crews noticed that the mayority of passengers were buisinessmen, who generally did not book the flight themselfs. So they they started asking the passengers to rate the service and how much they thought they paid for the ticket. Surprisingly the mayority responded with a price of at least double or triple the actual fare (if I remember correctly). Based on this data, BA was able to raise the Concord ticket price to a more “reasonable” level, and have a consistently profitable sub-fleet. Even when the rest of the fleet was making losses. Ahhhha yes!! Another great idea.. Here is another..Airline seats are getting smaller and smaller yet airline passengers are getting larger and larger. No one ever wants to get stuck in the middle row between two obese passengers but this happens more and more often. I recently traveled on a very short flight and two passengers were complaining how small the seat are…I told them short flight ..small plane. ( it was a 737). These passengers were at least 300 lbs each. Im so glad I wasn’t sitting between them. If you ship anything on a FedEx or Ups plane you get charged by weight. More weight burns more fuel. I can hear the backlash now… hear it comes.. Taking your theme further.. Airlines should charge more for heavy passengers and less for light ones?? Eh, a seat is a seat. Provided that someone can fit in a seat safely, the marginal cost (in terms of additional fuel burn) for having a 300 lb adult instead of a 50 lb kid in a seat is negligible on a plan the size of a 737. Sure, a plane with 100% kids will burn measurably less fuel than a plane with 100% NFL linemen, but that’s not a realistic comparison. Also, your analogy of shipping packages is flawed. Try shipping 20 lbs of styrofoam peanuts and 20 lbs of lead bars via FedEx, and you’ll see what I mean… Parcel companies charge by the greater of actual weight or “dimensional weight”, so that they don’t lose money hauling products of very little density. In other words, those styrofoam peanuts take up so much space relative to their weight that you’ll pay far more to ship them in most cases than you would pay to ship the same weight of lead. For airlines, the “dimensional weight” allowance is basically the space for each seat, and that’s the far greater constraint. Even with a plane full of 50 lb kids, you can’t add more seats to the plane to compensate for the lower weight of the pax, or vice versa, and then take them away the next flight or the next day. Lets charge by weight then. Shouldn’t the people up front pay more since their seats weigh more and use more of the plane (floor space etc). And also why should someone pay for the weight of the catering carts and toilets if they don’t use them? In reality what you’ll find is that passengers make up a small proportion of the weight of the aircraft, and the variability of weight of the passengers makes up a small proportion of that. Fairly charging by passenger weight would make virtually no difference to each passenger. People up front do pay more for the larger seats. People up front do pay more, Roger. Quite a bit more, actually. Either for this specific flight or enough revenue to the airline to earn upgrades. But you are right that, except for very small aircraft, passengers make up a relatively small amount of the plane’s total weight. Scotfree1999 – Airlines do charge more for heavy passengers. If someone is so large that he needs two seats, then he has to pay more than someone who only needs one. Cranky, the abuse of this capability knows no bounds. We share our preferences, flight histories and desires everyday with airlines — and every time an airline puts a cookie on our computers. The result — the airlines know what they need to know about us. It’s up to a flier to take steps to “shop” when appropriate. To study options and move away from blind loyalty due to perceived value from highly inflated frequent flier miles. The airlines know it is less costly to dole out frequent flier miles than it is to pay people cash (in the former of more advantageous fares) to fly them. Conversely, if Airline “A” has trained you to enter your frequent flier number everytime you shop with them (or has a cookie on your computer), there is nothing that keeps them from displaying a “preferred member” fare that’s higher than regular fares. My preferred airline has been rumored to have done this from time to time. Not sure if it is true, but from their perspective, it makes sense. I don’t think anyone is loyal for the miles. The loyalty I see always has to do with elite status. As for avoiding tacking cookies, you can just search through an aggregator like Google flights Even if you’re staying loyal to a single airline, their sorting and filtering is far superior to the airline’s website. I’m positive that hotels do this. I once had to book a last minute room and paid above $200. From that day on, all my rates went up across the board. Then one time, all of a sudden, the rates were significantly lower, then I realized I was on a computer I don’t usually use, and I hadn’t logged in to my account. Orbitz and other aggregators have admitted as such before. Essentially, if they know you are last minute business traveler, your pain threshold on the rate is far higher than a leisure traveler. Technically, it’s just proper segmentation to maximize yield but it does start to get a little obnoxious. I have never seen an aggregator or hotel admit that it raises prices for people it knows more about. There was something a few years ago where Orbitz changed the sort order for people using Macs, and gave preference to higher-priced properties. (http://business.time.com/2012/06/26/orbitz-shows-higher-prices-to-mac-users/) That wasn’t increasing prices on someone for the same hotel. Hotel and car rental companies definitely do vary rates depending on how you get to their sites. For example, a car rental company might offer a lower price that only shows on a kayak search. Meanwhile, the OTAs often display slightly higher room rates if you reach their site through a cashback referral site. All this said, I have no information on whether they offer higher rates if, through your profile or ISP address, they think you’re a higher spending customer. I think it is naive to believe they will “add” items to market flights. What they will do is not charge more for a similar ticket but in fact will charge more and add in extras. For instance, Traveler A bought a premium seat the last time they flew. Traveler B did not. When they both search the next time Traveler A is going to be offered the flight for $300 but it will include a premium seat, Traveler B will be offered the flight for $200 with no seat. While Traveler A gets a seat included he will not be shown the lower flight without because of his past “history”. The airlines will make the choices for the travelers. In today’s world of stripped out basic economy, etc. the airlines are not going to add in extra’s for free to entice a traveler to choose a certain flight. John W – I agree that could happen, and it starts to walk a fine line for me. If the airline knows that someone wants a premium seat, that does add value, but it should also be sure to make it clear that a traveler could save money by taking a seat with less room. If it starts hiding options, then people will feel cheated and will stop providing information. I’m not convinced that your “best case” examples are actually much different than the “nightmare” scenario. It’s just that in one case you’re looking from the perspective of the winning consumer, and in the other, you’ve taken the perspective of the loser. Airlines won’t use this ability to bottom-line give more stuff to customers overall: that would cost them profits. Rather, they will use it to do more refined discriminatory pricing. And price discrimination based on WHO you are, rather than just the specific instance of when/where you want to book, is inevitably going to produce a heavy backlash from the losers. Data mining in order to increase revenues is hardly a strategy that airlines have considered. There are many industries that do it. Nonetheless, it is highly risky and companies that are caught doing it do face significant pushback. However, no one should think for a minute that everything they do isn’t being tracked for the purpose of making someone else money. Agreed. I heard UAL’s head of eComm speak a few years back and he shared the story of how UAL’s segmenting based on your travel habits and that plays into upsells. For example, when you checked in at the airport via a kiosk, the background picture they showed asking if you wanted to pay to take an earlier flight would vary based on what they knew about you. For a female traveler, it may be a photo of someone being reunited with their kids, for a male traveler, it’s the cocktail in the lounge, etc. It was fascinating to hear him talk about how response rates varied just based on that. I work for a major airline in Reservations, and boy do I hope you are wrong. Fare structures are already complicated enough as it is. The last thing we need is more layers to explain to our customers. Airlines long term strategy has always been to maximize short term hand-to-mouth opportunities. Even if the news catches on and results in bad publicity, so what? It’s not like anyone is about to give up their trips. The public may grumble and hold their nose, but they will still take their trips. I honestly don’t think there is no low, no matter how egregious or appalling, an airline can sink to, and it still won’t affect their bottom line. The Big 4 are like other companies such as Wal-Mart, Target, BofA, etc. They may be hated and get a lot of bad publicity. But at the end of the day, they are absolutely bulletproof and there just isn’t the fortitude out there for people to finally stand up and say “enough”. After all, that would require they endure and encumber a little inconvenience and sacrifice. And they’re just not about to do that. It’s the exact same reason one day gas boycotts never work. Matt D – No, people won’t give up their trips, but they’ll change their purchase behavior. If they find that United charges them more for providing information, they’ll start booking at a third party site (which is more costly for the airline) or they’ll stop providing information. The choice isn’t “do I fly or not?” It’s “how do I buy my ticket?” And if the airline is stupid, it’s going to hurt the airline, even if that person is still getting onboard. The problem with all of your examples is, the airline ends up spending extra money to get a customer who’s just paying the market price for their ticket. Maybe they poached that customer from one of their competitors, but with load factors as high as they are, does that even matter? Someone was going to buy that seat anyway. So unless you can use these techniques to charge more, why bother? I agree that it will probably backfire if the airlines try to use this to charge more, but it’s not clear why they’d do it at all if that’s not the ultimate goal. Bgriff – It’s not about filling airplanes, but it’s about increasing the amount of revenue from each person on that airplane. The airlines can make decisions on when to offer these perks based on a variety of factors. So, for example, in the United option, it may know that the person isn’t price sensitive and is more interested in efficiency. Lowering the price of the first option won’t make a difference, but giving that person the ability to be more productive will matter. It’s about finding what makes people tick and offering them something to satisfy that. It’s not just about the dollar amount. United may know that it’ll fill up the later flight but the early one won’t fill. Because of that, it may very well spill passengers to competitors instead of getting people to take a long layover. So if it can move a high dollar traveler to the early flight and make him happy, then it can leave one seat open for anyone else. Even if that person pays $50, United is better off than before. This can also carry out to third party sites. United could work wit Expedia to put offers out there. This is down the line and it’s dependent upon the adoption of NDC (standardized direct connect architecture) to really be feasible, but it can happen. Lastly, it doesn’t have to be a freebie. Delta can offer the tall guy a half-priced seat if the airline knows that the guy is tall but never pays for extra legroom. That’s pure upsell opportunity. Your faith in the intelligence of airlines is endearing – and optimistic. Airlines seem to have a lot of staff meetings where someone should raise a hand and yell, “stop! !” For sure, they would offer passengers the opportunity to show up at 4:30 am for their 5:39am flight, only to find out that the lounge doesn’t open until 5:00am. Airlines are all too frequently super-tactical, choosing short-term revenue or cost reduction without the slightest consideration for downstream effects. I have no problem with an airline using data it mines from its own system. I do have a problem with the airline using that information to charge differential rates for the same ticket based on that knowledge _unless_ it offers the traveler a benefit specific to his or her needs. I think airlines have become so revenue focused that they try to squeeze the last drop of ‘blood’ from the passenger. Airlines are expensive to run and cannot be revenue averse. However, with all the a la carte pricing, enough is enough. I may be the odd duck but wifi is not an attraction to me. Leg room is. So if an airline decides to extend ancillary services to a passenger who has voluntarily given the airline permission to mine his data, I am OK with that. Frankly, I think the traveling public is fed up with airlines vacuuming money out of their pockets. Hence, there is a huge reaction every time airlines screw (dogs, overbooking and so on). Tobin – That burden lies with the third party sites, but they really need to keep up with the way airlines price. Airlines can certainly charge passengers different amounts, they just have to phrase it properly. Rather than charging Doug $200 and Bob $400, they need to say the flight costs $500 and then give Doug a $300 discount and Bob a $100 discount. They also need to make it so that if you don’t provide any information (i.e., searching without logging in), you get no discount and have to pay the full fare. Safeway does this with their Just4U program. You get a “personalized” price on each item, based on your buying history. Their algorithm will charge you what it thinks you are willing to pay for that item. If you don’t use your shopper card, you pay the default (higher) prices. Well, this post got my juices flowing…..
1. You can give a million examples of how this would benefit customers and I can give a million plus one examples how this would hurt customers. Bad idea. 2. How would you even know the Airline is doing this? You think they are going tell everyone? What makes you think they don’t do it already? 3. IMO the average person too freely…..way way too freely gives up their personal information just to save a few bucks, get a coupon, watch a free movie, etc,etc. And I think the average person just doesn’t care. AND that I find super scary. MB – That’s the whole point. There are ways this can be good and ways this can be bad. If it is used for good, then everyone wins. If it is used for bad, then it’s not going to fly. People will find out because people compare. That’s what happened with Delta a few years ago, and it’ll happen again. Here’s how Qantas thinks: I turn up early. They could put me on an earlier flight, possibly sell a ticket on the later flight, and save on the food and drink I otherwise consume in the Qantas Club. Or they could try to charge me extra to get on the early flight. They try the extra charge route. With that level of thinking, I am not convinced airlines would approach the knowledge problem intelligently at all. Some people think Delta is already doing this with award space. With no published “price list,” the answer seems to depend on who’s asking. * Every time I use Kayak from home (some other websites do it too), Kayak pre-populates my starting point with Orlando. But I live in St. Petersburg, about a hundred miles away and in another airport’s primary capture area (TPA). * At work across the bay in Tampa, most of the time Kayak will presume I want to start in Tampa. But if we have a lot of net traffic or the wonder putzes at Frontier are having a bad day, our system puts me on our backup net access and the world thinks I’m somewhere in Kansas. Now if it works on you self-identifying by logging into your FF account, this would eliminate the IP address problem, but opens up a lot of other issues. Airlines need to be careful rushing into this too fast, lest a future administration (one that, one hopes, does not have Chuck Schumer anywhere in it other than in his current Senate seat) decide is is going too far and regulate it out of existence. The airlines already are charging everybody a different fare. How you ever compared prices with the stranger in the next seat? How often do you think your prices are going to be the same?